Windows 10 being a user-friendly OS provides an option to let you directly Choose a Network to Share via Mobile Hotspot. In the Network & Internet category of the Settings application, there is an option to transform your PC into a Wifi hotspot. 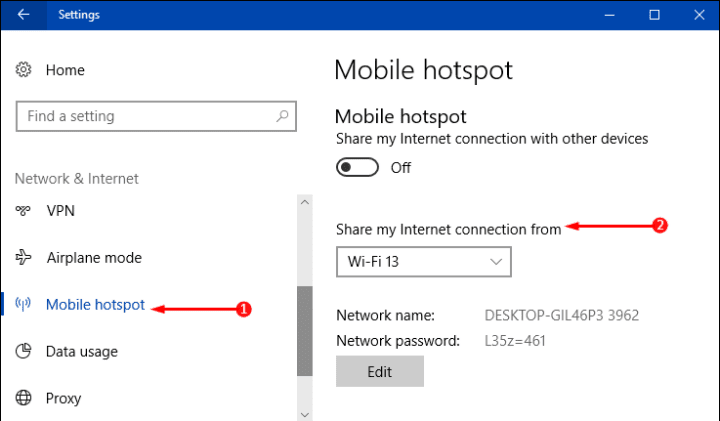 Mobile hotspot is a very old feature of the Windows family. In the earlier version, you could access this feature with the help of command lines. But now for the ease of the users, Windows incorporated it into the Settings app only. But the only thing that needs to be taken care of in the Settings app of the Mobile Hotspot function is to ensure that at least one wireless adapter is installed on the computer.